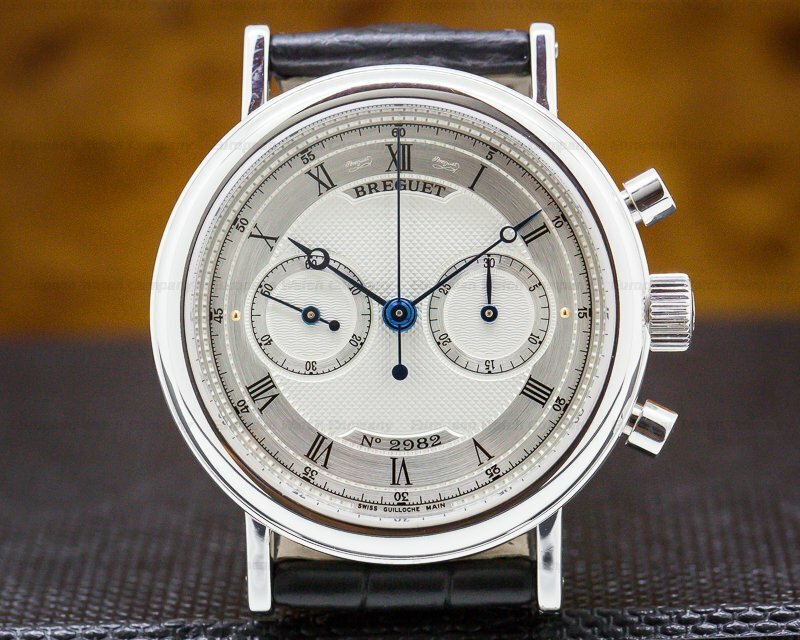 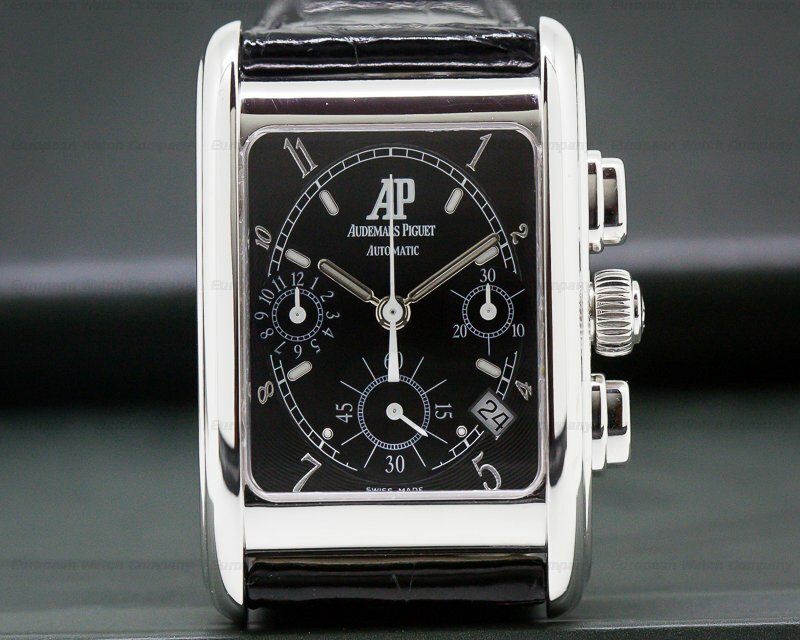 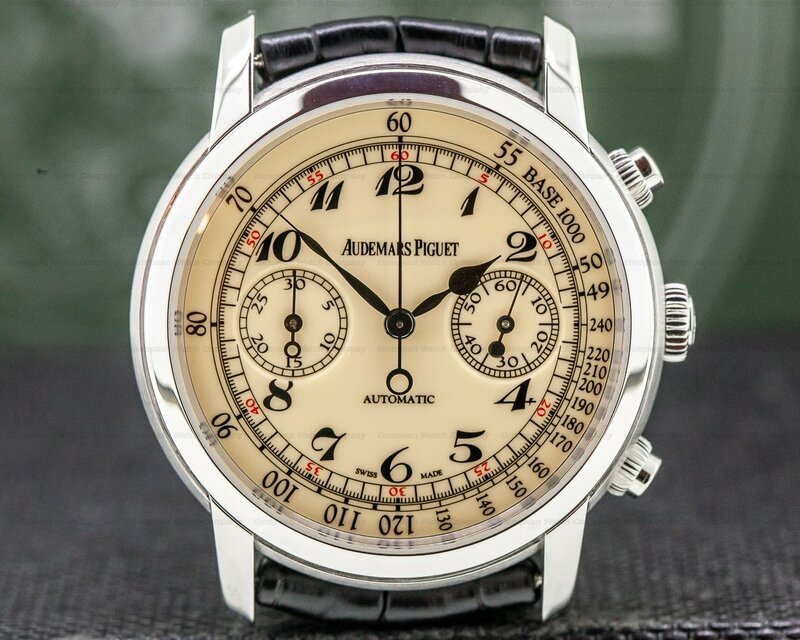 This is an 18K white gold Audemars Piguet Jules Audemars Chronograph, 26100BC.OO.D002CR.01. 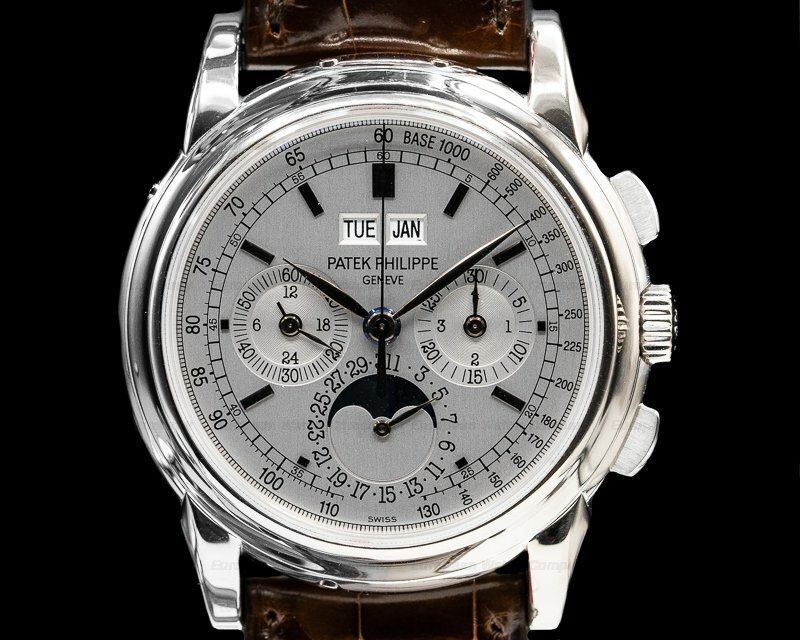 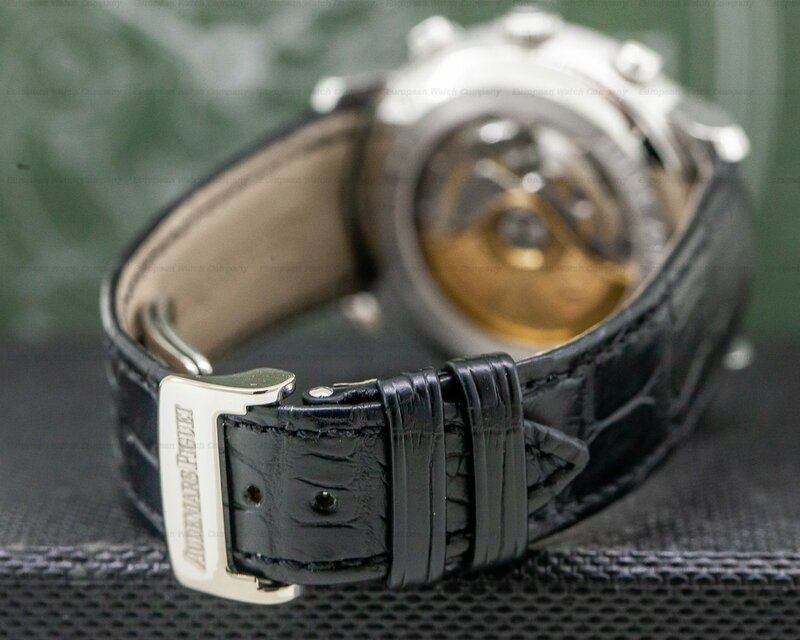 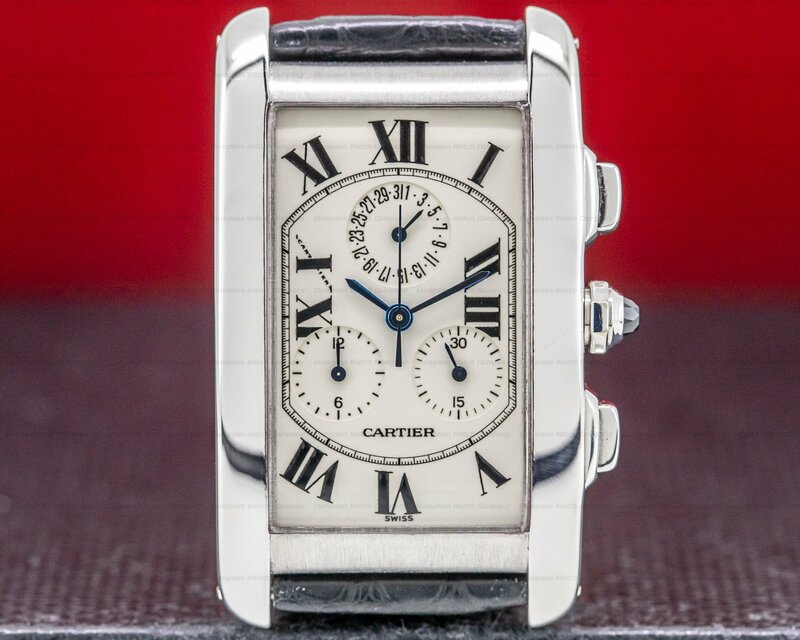 It has a leather strap with a matching 18K white gold double deployant clasp, and a scratch resistant sapphire crystal. 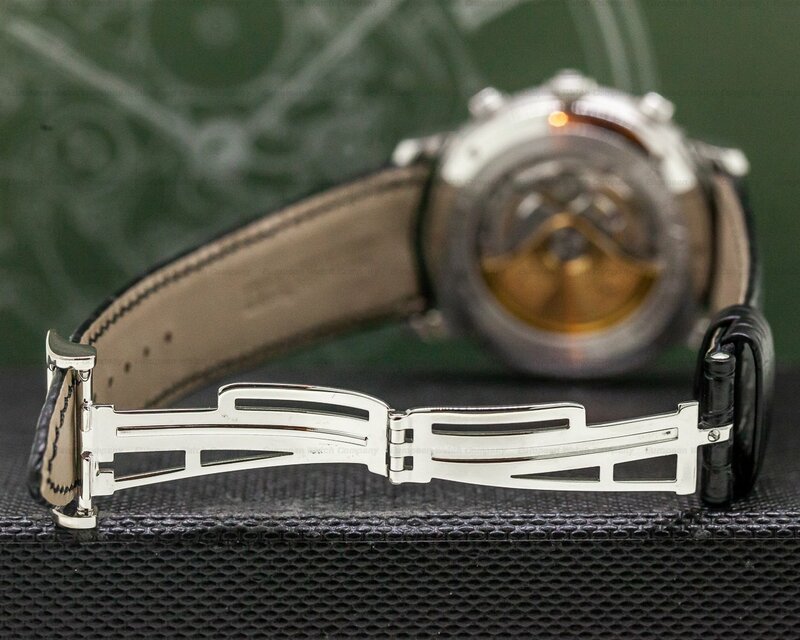 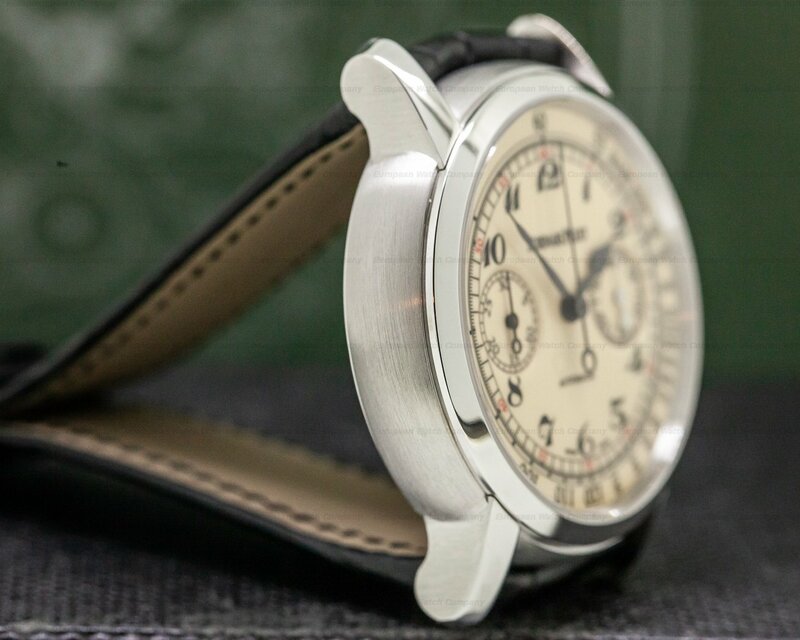 The 41mm diameter solid three body case, downturned bezel and straight lugs are polished. 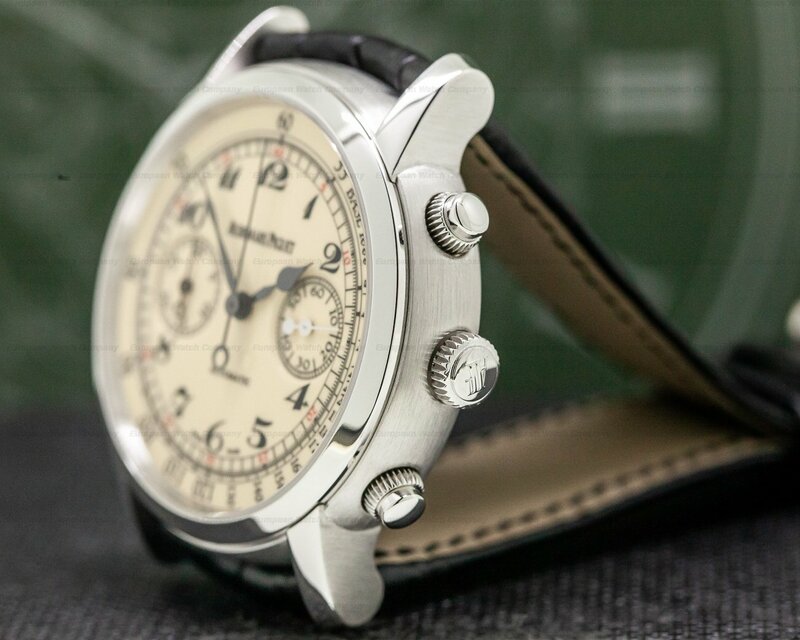 It has a solid case back secured with 8 screws, and the chronograph has round pushbuttons. 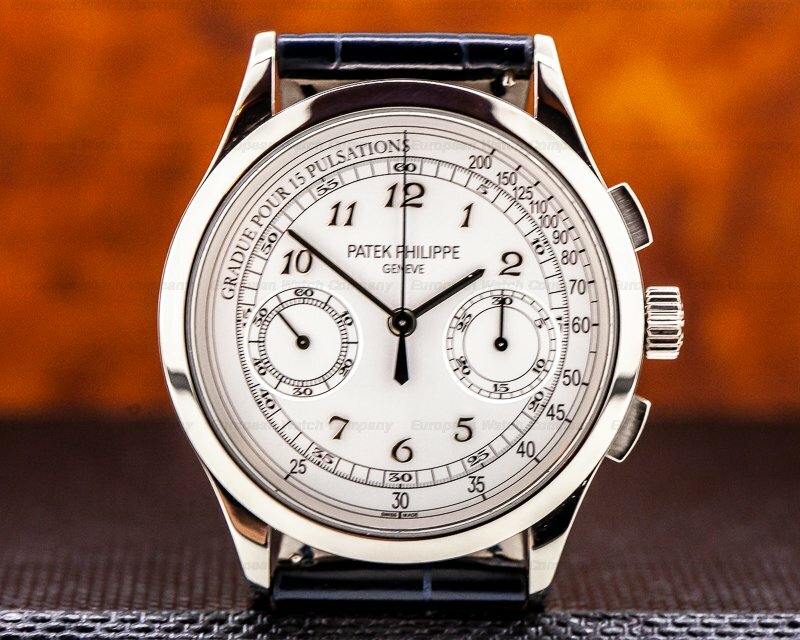 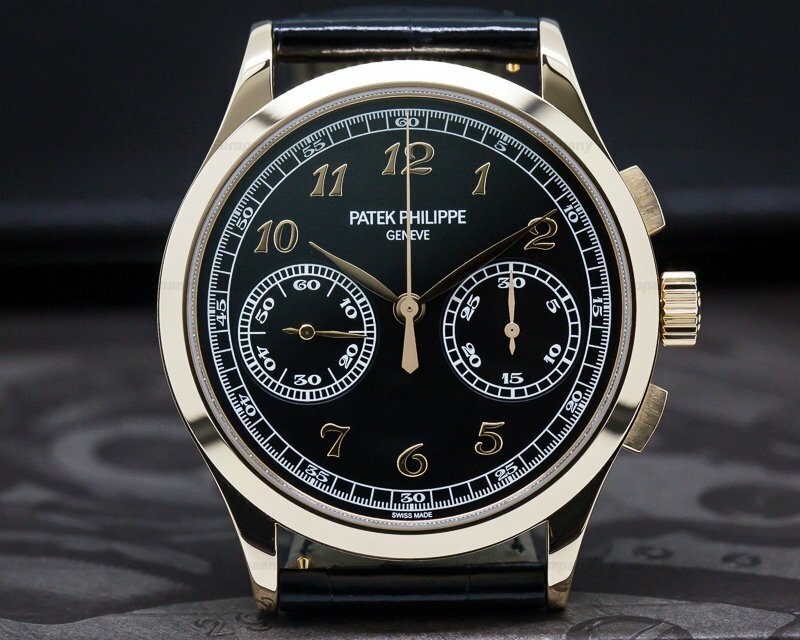 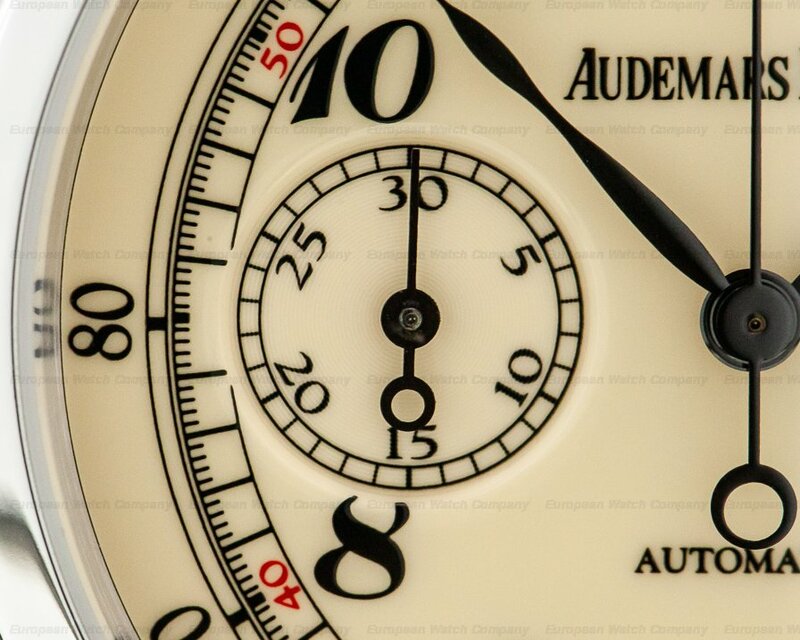 The dial is off-white enamel with painted black Arabic numeral hour markers, blackened leaf-shaped hands, and a central sweep hand with a round balance for the chronograph/stop watch. 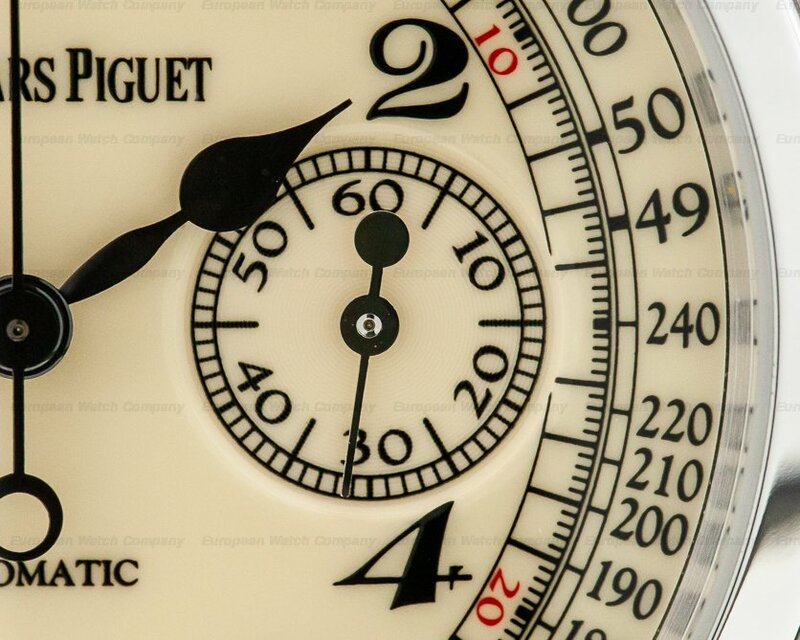 There is a minute/1/5 second track with round red indicators every five minutes, and an outer track with a tachymeter. 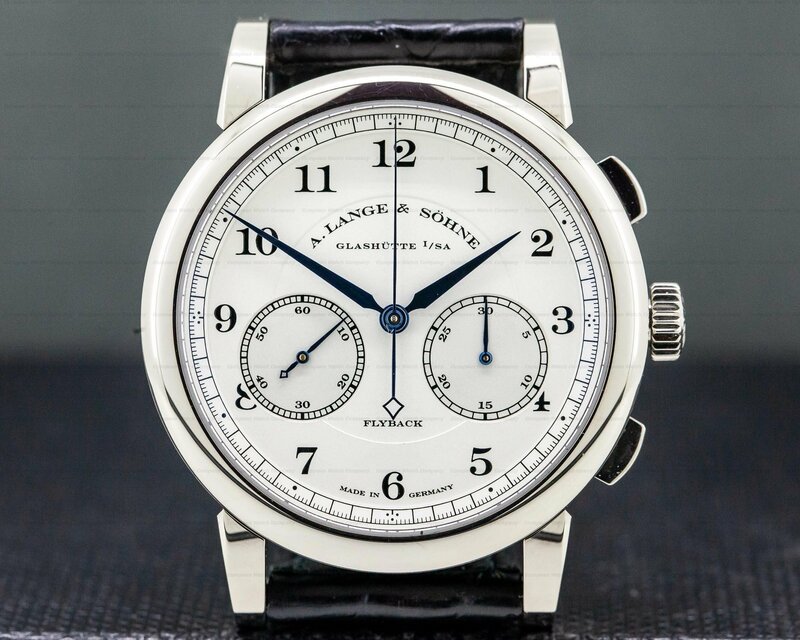 It includes a small seconds subsidiary dial with a white hand at the 3 o'clock position, and a 30-minute counter sub dial at 9 with a matching blackened hand. 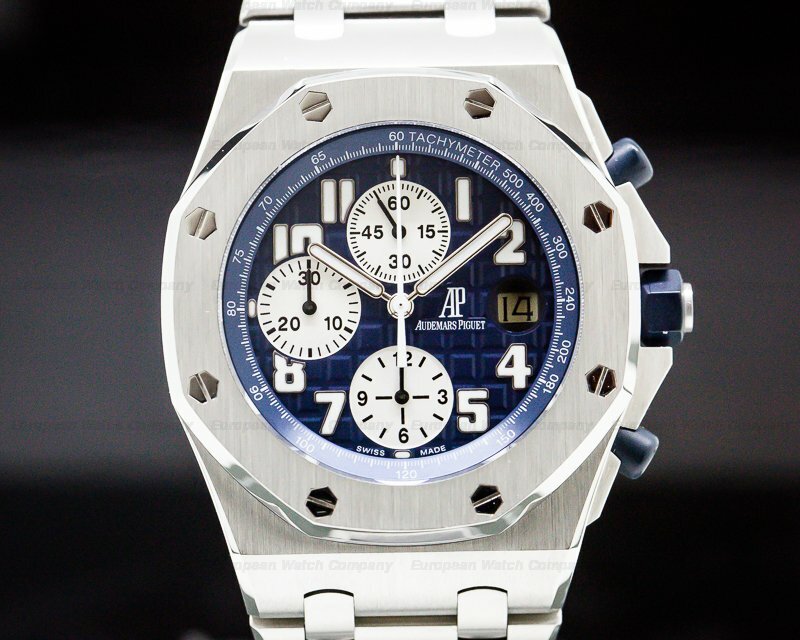 It's water resistant to 20 meters/60 feet, and it has a 60-hour power reserve at full wind. 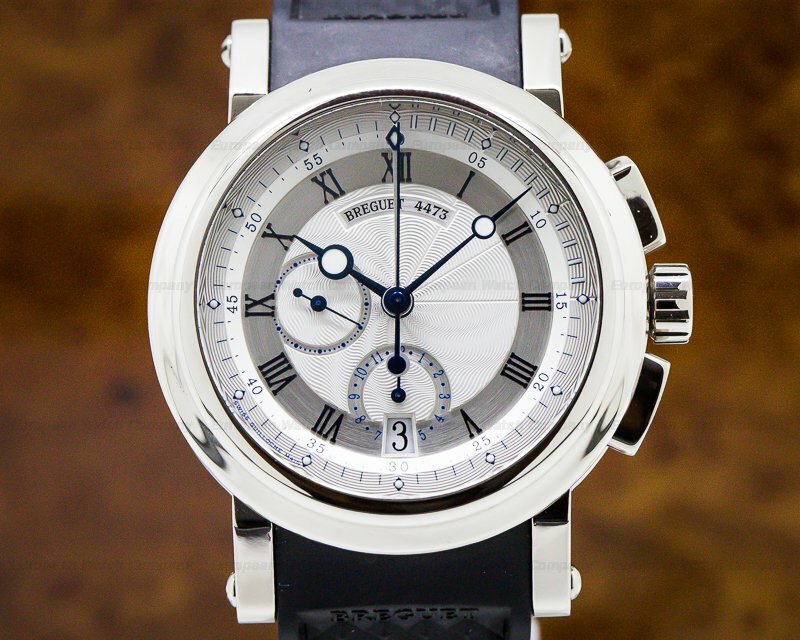 The 12.6mm thick case, dial, and movement are all signed. 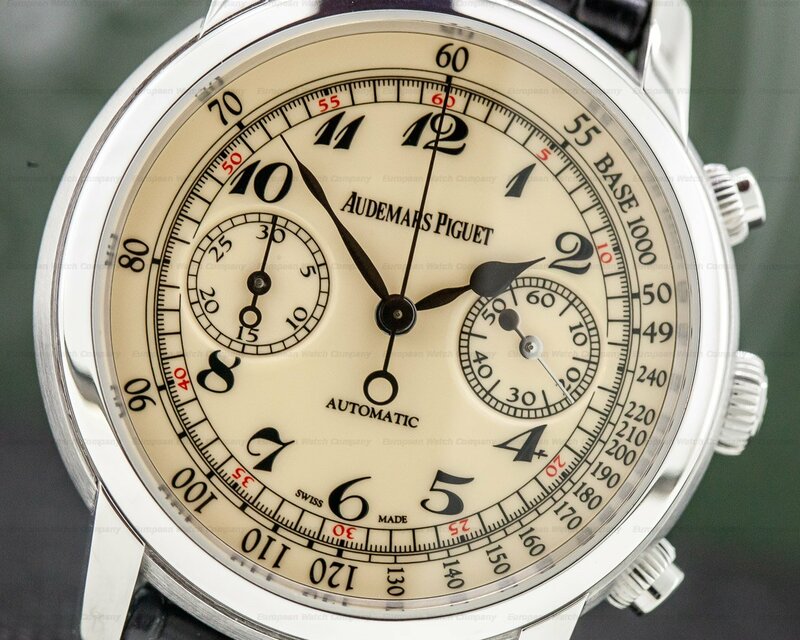 The automatic self-winding Audemars Piguet caliber 3124/3841 movement has a circular grained main plate with rhodium-plated bridges that are beveled, snailed, and embellished with a Côtes de Genève design. 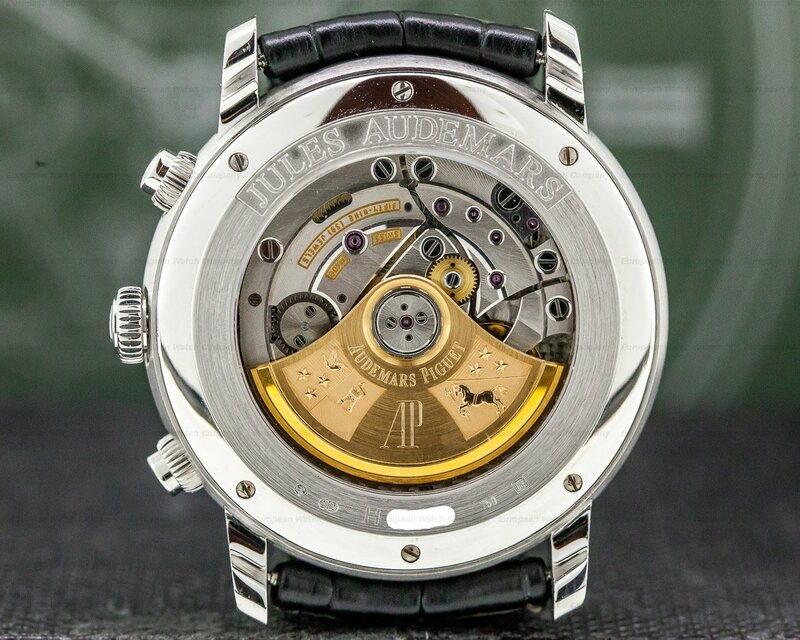 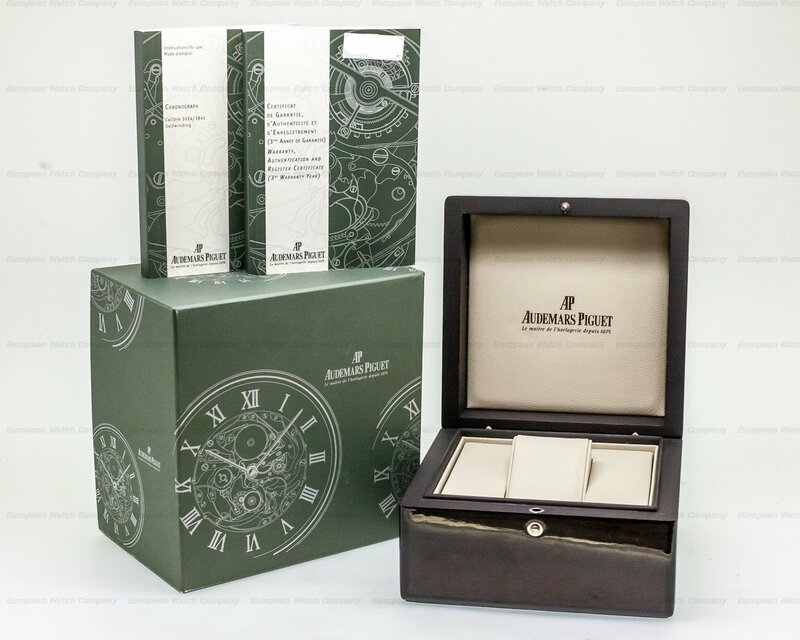 It's constructed with 59 jewels, 400 components, and a solid gold oscillating weight and rotor engraved with the Audemars Piguet family crest. 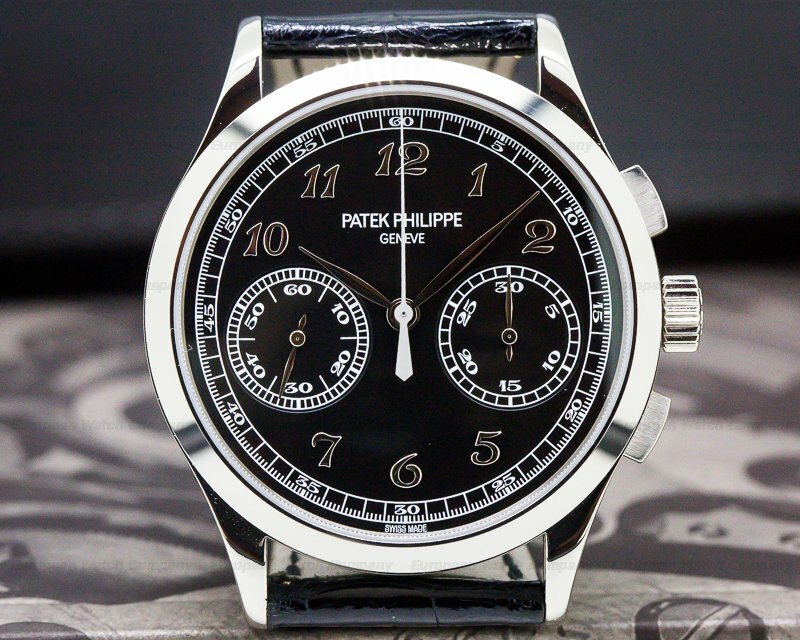 The mechanism vibrates at a frequency of 21,600 vph (3 Hz).